As I've mentioned in the past, ever since my company moved its office from the convenient Palanca St. to their further out Arnaiz Avenue, I've been on a never ending quest to find some great places to eat. 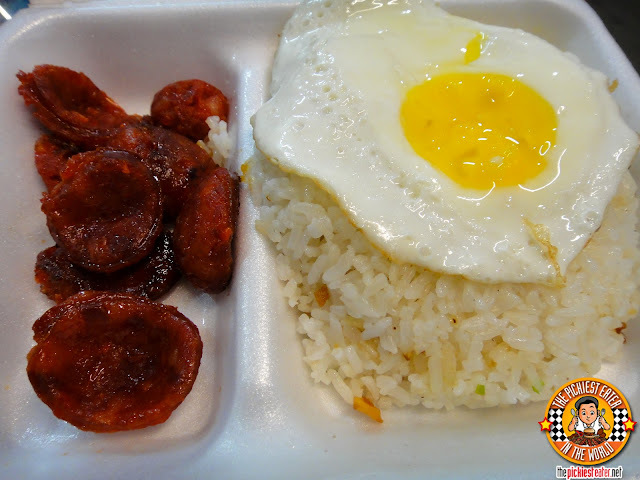 The area is actually packed with a wide array of choices, but some of the nearby places aren't as price friendly as that of Palanca (I'm talking about you, La Regalade). Palanca had places around it for every budget. Broke? 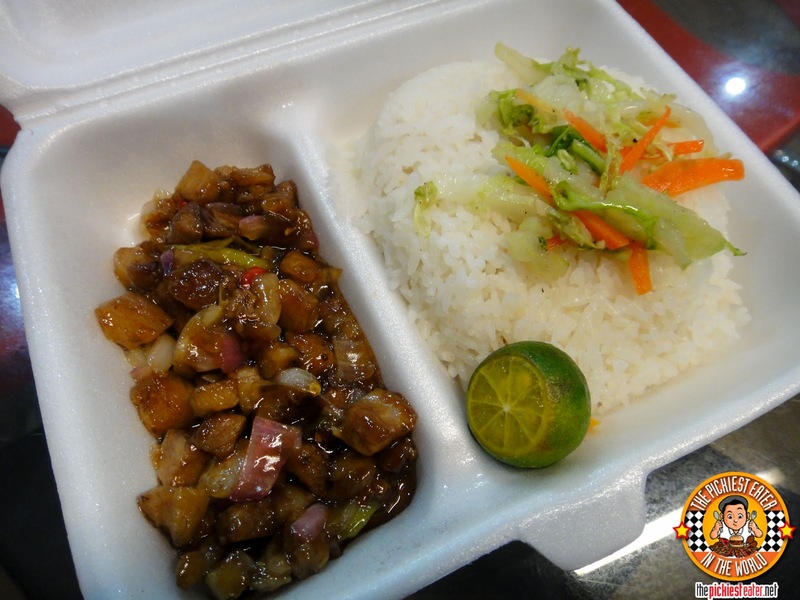 The dependable "Mang Inasal" is just a few steps away. Want a place with nice ambiance without spending too much? You could be at the reasonably priced, yet classy places like Bob's and The Plantation in a matter of seconds. Worst case scenario? Head on over to Greenbelt, just a couple of blocks down the road. Lunch time isn't such a big deal for us, because we have Makati Cinema Square and Waltermart nearby. 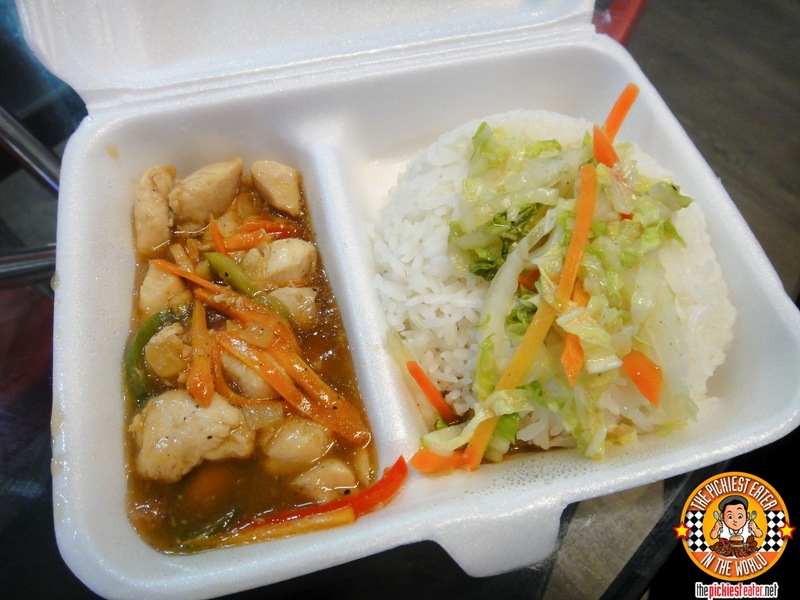 It's nowhere near the vicinity of Greenbelt in terms of food choices (and cleanliness) but both do have a respectable selection of restaurants (Try Aida's chicken if you haven't yet). When 7 to 8pm hits, we're all so exhausted, the thought of having to go out again just sounds too taxing, and you start to looking for food delivery instead. You have to understand that in my line of work, while everyone else is on their way home, 8pm to us could just be the height the action. So Sometimes we don't even eat until midnight. It's easy for me to just dial McDonald's or something, but a lot of my office mates need a decent rice meal to get them through the night.. That won't cost them an arm and a leg. That's when we discovered "Kitchen Knight'. 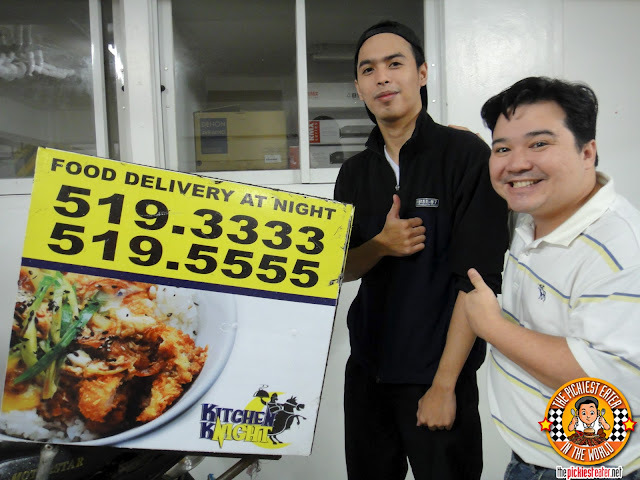 Kitchen Knight is a food delivery service that serves the Makati area whose novelty is they only deliver at night.. from 6pm to 3am in the morning. Which I think is brilliant, because with the amount of Call Centers in the country today, the nation's food delivery requirements has become a 24 hour thing. Off the top of my head, I can't think of any other restaurant that delivers into the wee hours of the morning apart from McDonald's. But the big difference between Kitchen Knight and the Golden Arches is that, the Knight serves home cooked meals, as opposed to processed meat (as delicious as that processed meat is). I'm a sucker for fast food, particularly McDonald's, but what I noticed about my midnight runs to Mickey Dee's is that, you feel so sleepy and groggy after. Come to think of it, that's what happens to me when I eat it in the afternoon, too. 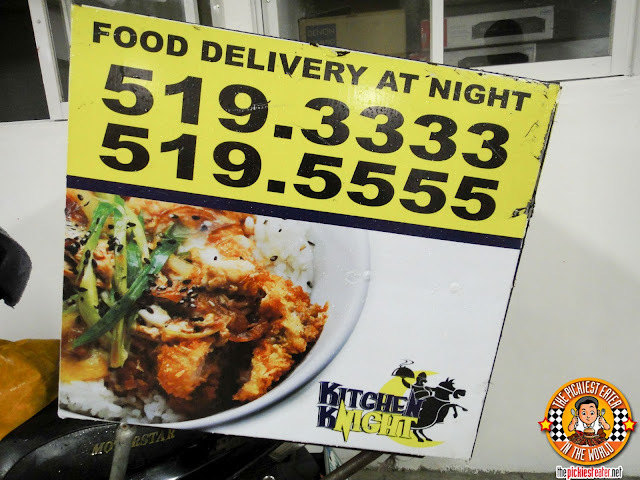 (Depending on how much you eat) Kitchen Knight offers a selection of Breakfast favorites, and Japanese, Korean and Thai food that is filling enough to get you through the night without giving you that heavy feeling before you hit the sack. Sounds interesting, right? And I haven't even mentioned the prices yet. 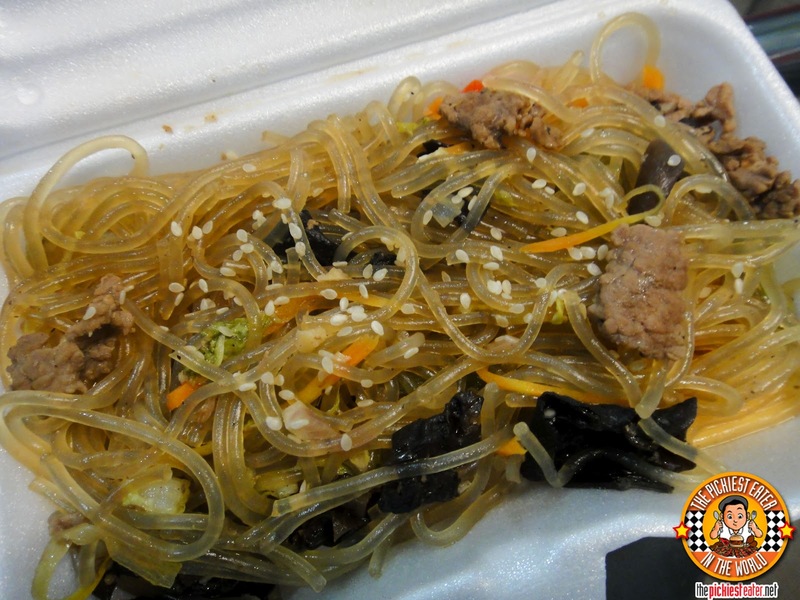 The first thing that caught my attention when I saw Kitchen Knight's Menu was the Chapchae Noodles (P85). Ever since I made her try it, it's been one of Rina's favorite dishes, so I wanted to see if this was worthy of my wife's taste buds. The noodles had a nice bounce to it without being too tough. The medley of chicken and veggies came together nicely into a good Chapchae dish. Perhaps my sweet tooth got the better of me, because I would have preferred a little bit more hints of sweetness to it (but I managed to rectify it a little bit, as you'll see below). But on the whole, this is something I wouldn't be ashamed to take home to Rina. 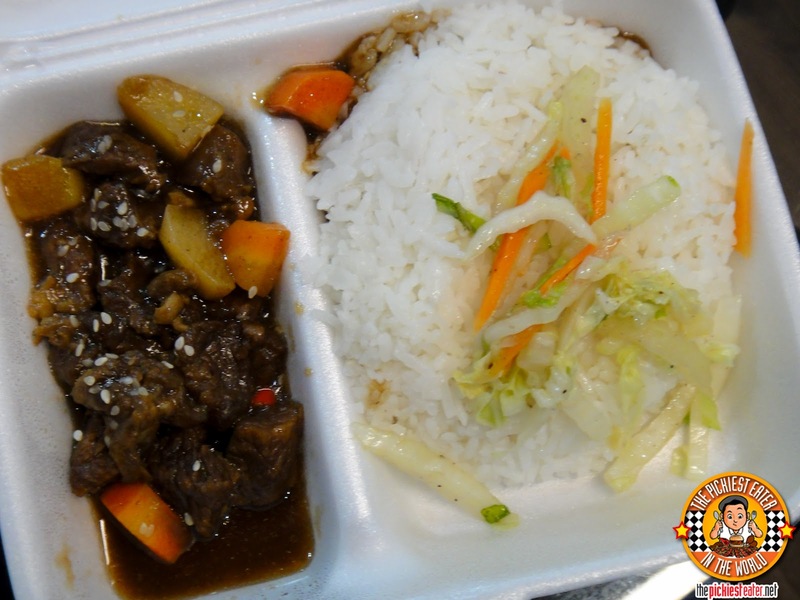 My first real entree from Kitchen Knight was the Korean Beef Stew (P95). I was pleasantly surprised with how tender the small cubes of beef were! Given the price, I was bracing myself for a little resistance from the beef as I would bite down into it, but I was happy to see that biting through it left no remnants in between my teeth (I usually save those bits for my midnight snack. Gross, I know. I'm kidding.). The stew itself had the right blend of sweetness to it that I was looking for from the chapchae. The stew sauce was so good, I ended up mixing it up with my rice AND noodles. The spiciness of chili peppers would kick in at just the right time and wasn't overpowering at all. My Giant Joel ordered the Chicken Bulgogi (P85), which turned out to be nothing like any Bulgogi I had ever seen before. I'm used to Beef Bulgogi being something along the lines of what I had at Kogi Bulgogi a long time ago which was closer to Barbeque. It turns out that Chicken Bulgogi is more of a chicken stir fry in a thick, sweet sauce. The fillet chicken cubes were cooked very nicely, and the sauce complimented the meat very well, however it needed a dash or so of salt. Again, good value for money! I've mentioned in one of my first blog posts how I loved longganiza, and my office mates were raving about how good Kitchen Knight's is. So one night, I ordered some for myself. And I was not disappointed. The Longganiza meal (P65) comes with a fried egg and garlic rice. The meat again had a wonderful sweetness to it (I told ya I like sweet food) and had a nice texture to it. Don't expect much from the serving, but at it's price, you can afford two orders and that should be enough to fill up your belly. I was thinking to myself that if this was store bought longganiza, I'd like to know where it was bought at. I ended up finding out in one of my twitter conversations with Kitchen Knight, it was mentioned that their longganiza is homemade, and The Knight felt that it wasn't even perfect yet! I dunno.. I think they did a pretty awesome job. Another dish that everyone loves is their Pork Tapa (P65), which also comes with garlic rice and a fried egg. The beef strips are seasoned beautifully, and were very tender. It had a nice saltiness that enhanced the flavor of the pork. Again, the price makes the portion size understandable and easily solvable. 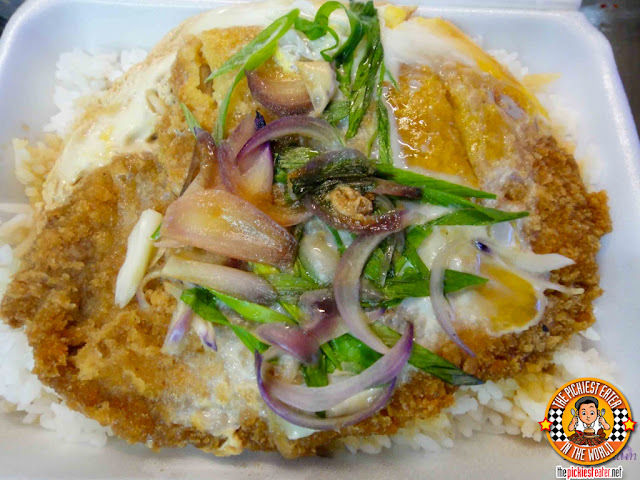 I recently tried their Katsudon (P85) and also enjoyed it very much. Once again, the price really impressed me, because this didn't look like it was skimped on at all. It had beautiful colors of the green and red onions, not to mention the egg and breaded pork. 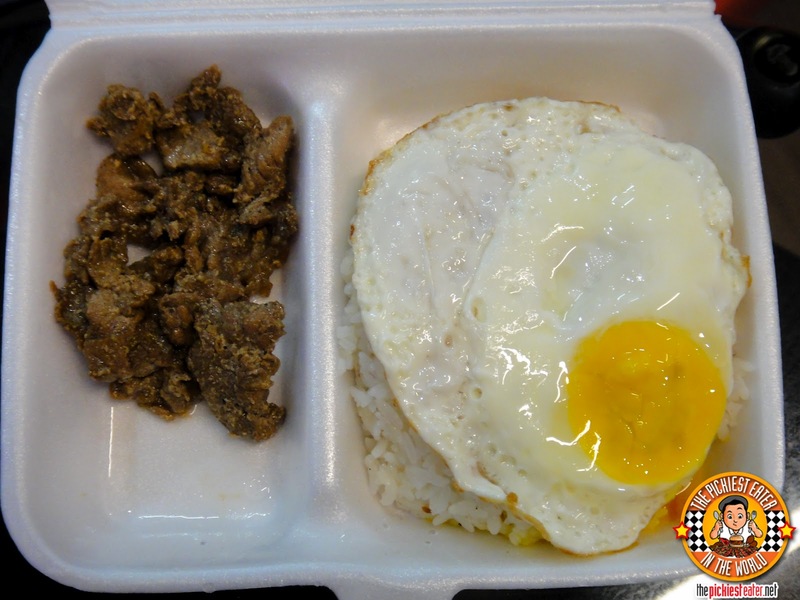 The sauce was nice and sweet (but I wouldn't have minded it being a little sweeter.. hehe) and the mixture of the eggs, onions went very well with the cut of breaded pork. Perhaps my only qualm was the pork didn't have the same tenderness as the other dishes, which could easily be torn off with the provided plastic forks and spoons. This called for just a little more work. But flavor-wise, it was delicious, and yet ANOTHER great value for money. 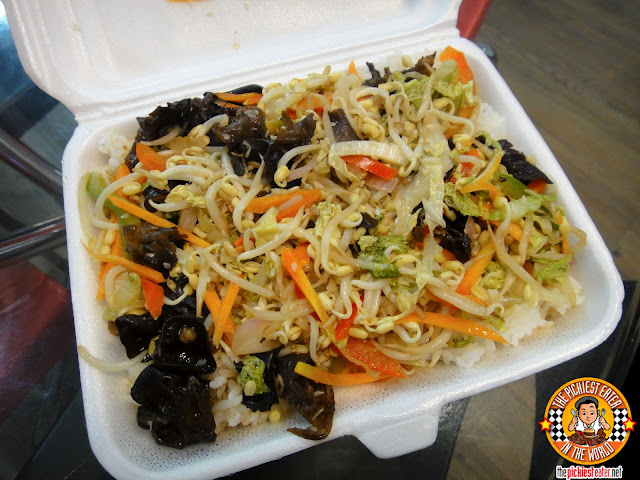 My supervisor, Miss Menchu ordered their Yasai Itame (P75), which is a vegetarian dish. As you can imagine, I didn't try it. Hell, I didn't even look at it. I can imagine that this would please Vegans everywhere though. The Korean Beef Stew is tied with the Beef Caldereta and Popping Boba for the Most Expensive item on Kitchen Knight's Menu.. at a whopping P95 bucks (You read that right). As of this writing, there is nothing above P100 bucks in Kitchen Knight's menu. I hope that doesn't change any time soon. The other day at my office, while my office mates were around me doing their own work, I pretended to be on the phone ordering Kitchen Knight and all of them stopped what they were doing, turned around and said, "Hey I want to order!! Pa-Join!!" I know I've said it more than once, but I'll say it again. Great Value for Money! An important note that Michy from I Am A Dekaphobe reminded me about was Kitchen Knight's use of Styro boxes and plastic spooons and forks. This was something that I thought of before doing the post, but because I was distracted with the food, I totally forgot to put it into writing (no excuse, I know). 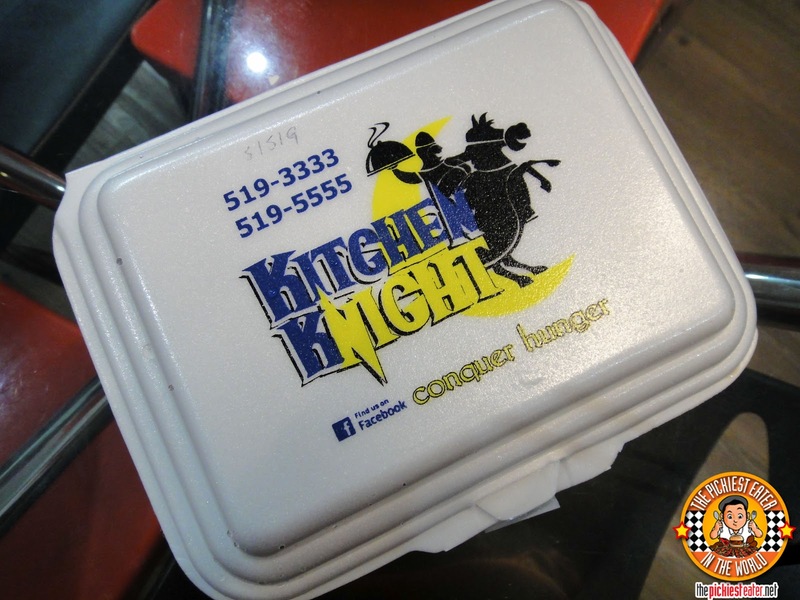 I don't want to interfere with how Kitchen Knight runs their business, but from a customer's standpoint, I honestly wouldn't mind paying an extra 5 or more bucks if it meant getting the meals in a more environmental friendly package. You make the simplest dishes look appetizing. You should be an endorser!Haha. I hope they deliver in Global para I can try the food during one of my night shifts. Michy, Thank you so much for bringing that up.. It's actually something I was going to write about but forgot to talk about it. Sumi, if you ordered all three, it would only cost you P210 bucks! how about using...the cardboard-line with wax?? (what you call that) would that be better, cousin? ?